Like many people these days, Ken Silverstein has offered up more than a few biting words against America’s corporate media. But Silverstein, unlike a lot of armchair press pundits, has the credentials to know intimately the machinations behind the rise and fall of modern media. As a former investigative reporter for the Los Angeles Times, Silverstein — who also worked for the Associated Press in Brazil — covered the top echelons of political and corporate manipulation and corruption in the United States and abroad. He has investigated the foreign dealings of U.S. oil companies, prompting a federal grand jury and an investigation by the House Ethics Committee. A few years ago, Silvestein went undercover to see just how far lobbyists would go for their clients, in his case a fake company looking to bolster the image of Turkmenistan. The result is laid out in his book, “Turkmeniscam,” in which lobbyists vie for making the oppressive Stalinist regime palatable to the press, politicians and investers. 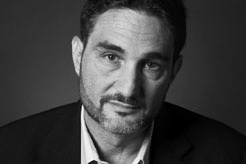 Today, Ken Silverstein is the Washington D.C. editor for Harper’s Magazine and writes Washington Babylon for Harper’s online. He is an ardent observer of the newspaper industry and the state of investigative journalism today, which is where we began our conversation. Ken Silverstein: First of all, I want to say that there is excellent investigative journalism taking place today in the mainstream press. Because I think frequently there’s too much criticism. It’s ironic that often you go to blogs of both the left and right complaining so much about the mainstream press, and yet they’re linking almost exclusively to mainstream news items. That said, there is great reporting taking place and I think every day you can find it, but it’s not nearly as vibrant as it should be or used to be. Of course, newspapers and the media in general are in crisis. Everybody is losing money. Nobody can figure out how to make money. Investigative reporting is very expensive and so it’s the easiest thing to cut. I used to work at the L.A. Times, which, of course, has been decimated. I would be able to spend my time pretty freely on investigative reporting. I was on the investigative unit in D.C. and I remember once finding a very good story that involved traveling to Sudan. Well, I went to my boss and I didn’t even have to write her a memo. I laid out the story in a minute, and she said just start planning your trip. That’s becoming less and less frequent because there’s just not that much money and everybody’s cutting back. Secondly, I do think the press is becoming worse. The Washington press corps in particular is far too close to the people it is supposed to be covering. And you have a very cozy situation where everybody knows each other — members of Congress and the lobbyists and the public relations consultants and journalists. And I think it’s taken a lot of the bite out of journalism. I don’t want to be romantic, because newspapers have always been pretty much a vehicle of propagating elite opinion. There’s no question that that’s always been the role of the newspaper. But even so, there’s been terrific hard-edge reporting from the beginning of the American newspaper industry. Joanne Zuhl: But there was a time when that kind of investigative reporting was a sell. You look at Woodward and Bernstein, Pentagon Papers, even Iran/Contra, those issues and those stories and the investment in the reporting made those newspapers valuable and sought-after. K.S. : I think you’re right, and even now investigative reporting can be a sell. You still win prizes for investigative reporting, which newspapers covet. They love the Pulitzer and other assorted prizes, which is another long story and sort of a racket in itself. But still, there’s a lot of cachet to good investigative reporting still. It’s just that as newspapers become more and more squeezed for money, it’s the easiest thing to cut back on. It’s the most expensive type of reporting you can do. It’s much easier to send some schmo down to Capitol Hill and report on a press conference. That doesn’t cost you anything, except maybe the cab fare. But even back in the ’70s when you had the iconic figures of Woodward and Bernstein, and you had Watergate and probably one of the high-water marks for investigative reporting, most newspapers still didn’t do that much investigative reporting. Most of what was going into the newspaper wasn’t all that interesting, certainly not investigative. And what’s interesting is if you look back, the people who were most scared about the high impact of investigative journalism back then were newspaper publishers and editors. Katherine Graham, publisher of the Washington Post at the time of Watergate, was absolutely freaked out about the damage that her paper had wrought. After Watergate, the Post, internally, became very frightened that maybe it had gone too far in bringing down a president. And all the critical reporting about Vietnam, which simply reflected the fact that the war was a failure. And so it wasn’t so much critical reporting in terms of digging up muck for the sake of digging up muck, but that the war was a failure and that was acknowledged in the reporting. But Katherine Graham gave a very famous speech soon after Nixon resigned in which she says maybe we went too far. We have to be very careful and exercise our responsibility very carefully. Which to me is very much reflective of the real role of the newspaper, which as I said is a vehicle for elite opinion. And she thought, as a representative of the elite opinion, that maybe the Post had gotten carried away. And there was a retrenchment. So I want to be careful about being too romantic about the past. There have been great periods of investigative journalism but it has always been the exception. And now I think it’s even more so as the economy makes it more difficult. Media outlets just simply don’t want to pony up the money. J.Z. : There are other dynamics as well that you have written about. In your work in investigative reporting, your undercover work, you came across companies that were quite unabashed at how well they could manipulate the media and public opinion and the politicians. What did you learn about media manipulation from other forces out there? K.S. : You’re speaking about a piece I did for Harper’s a couple of years ago in which I posed as a representative for a phone company called the Maldon Group, which was London-based and has a stake in the natural-gas fields of Turkmenistan, one of the world’s last remaining Stalinist dictatorships, along with North Korea. And I approached a number of high-end Washington lobby firms and told them that we had an investment in Turkmenistan and working on behalf of the government to improve its image and improving its relationship with the United States. So we wanted to hire lobbyists and hear their opinions about how they could sell the country to U.S. public and policy makers. The lobbyists I met with bragged about how everything they could do would be under the radar screen so it would be barely noticed by the press and it wouldn’t draw unwanted scrutiny of my phony company, the Maldon Group. And then they talked specifically about they would write op-eds and then recruit some academic or some think tank person to sign it and then plant it in the newspaper. They had someone on staff 9 to 5, where that was their whole job, writing and planting phony op-ed pieces in newspapers. And then they talked about their relationship with journalists. They didn’t say, nor was there any evidence, that they had reporters in their hip pockets who they could call up and say, “Hey plant this story.” The system doesn’t work like that. There is a lot of media corruption but its not that simple. But they did have contact with reporters with whom they thought they could spin the story with. They talked about how they could organize junkets whereby journalists and politicians could be flown over to Turkmenistan and get the “good side” of Turkmenistan. J.Z. : They felt that the media was susceptible to that and open to that kind of manipulation. $5 million over three years in the case of Cassidy & Associates. There’s no way they were going to get stories written that says Turkmenistan was paradise on Earth. But they said they could get more balanced coverage, which in the case of Turkmenistan, that’s great. They laid out very detailed plans on how they would influence political and media coverage. J.Z. : You mentioned balanced reporting and you’ve been critical of “false” balanced reporting. Tell us what you mean by that. K.S. : To me, when I’m critical of the media, this is a fundamental issue. Sometimes when I’m at a speaking event or be on a radio show and someone will ask, do editors tell you what to write. And that’s just silly. It doesn’t work like that. I’ve worked in the mainstream press. You don’t have editors telling you what to write. I think the biggest problem with coverage is this phony balance, where reporters are expected to go out and report and review the situation and then not reach any conclusions, because reaching a conclusion will lay you open to the charge of partisanship or bias. You can go out and find that Congressman X is a total crook and takes money from lobbyists and companies and goes out and does favors for them, but you could never really say that because you don’t want somebody to say, Oh, they’re for the Democrats or they’re for the Republicans. So every other paragraph in most news stories starts with the word “but.” Every opinion has to be X’d out. You just have this absolute demand for impartial reporting, which of course is completely partial. This whole phony balance is one of the big problems with American journalism, for me the biggest problem, actually. J.Z. : What are the implications to civil liberties of the American public when it comes to having a responsible media? We rely on the media to present us with critical information to expose Congressman X, as you say, and to tell us what’s really going on. Is this something that’s responsibly left to private corporations that have interests beyond journalism? K.S. : I think it’s best that it’s not left to private companies that own the newspapers and the rest of the media. I don’t want to be too conspiratorial. I don’t think the fact that you have a big corporation owning the New York Times or the Wall Street Journal that the reporting is going to be terrible. There’s a lot of conspiratorial thinking on this point. It may impact the coverage. Certainly, for example, NBC broadcasting the Olympics from China I think raised a lot of questions because of the huge investment of GE in China, and a variety of other sponsors of the Olympics who were big advertisers or who had ties to NBC. I think there are certainly problems and I think it’s worth paying attention to ownership issues. But I don’t think that’s the fundamental problem with American Journalism. J.Z. : If it’s not conspiratorial, and I’m not suggesting that it is, but you talked earlier about the financial pressures on the newsroom, that investigative reporting is the most expensive kind. It’s not a matter that it’s intentional or conspiratorial, but that as stewards of the Fourth Estate, is this the best system? We’re now looking at an open world out there on the Internet. Do you see that as a place where real investigative journalism can thrive? Where is the future? K.S. : That is the $64 million question and I wish I had an answer to it. I think that you’re raising an important point. I just hear so often about the owners influencing the coverage and I think it’s much more complicated than that. Look, the mainstream press produces fantastic reporting, investigative reporting. I think it should be producing a lot more. I think a lot of mainstream reporters; particularly the high-end Washington press corps is way too close to the people they’re supposed to be covering. I’m very critical of that coverage. But what I can’t find for the most part are online publications who are doing groundbreaking investigative reporting, because it’s really expensive. And most online publications, even the most successful ones are aggregators. They’re not doing a lot of original reporting because there’s not money to do it. And that’s very frustrating because as the mainstream press withers and dies, which is happening as we speak, I don’t see a lot of excellent reporting replacing it on the Web. There are very interesting projects out there. Propublica is very interesting, but that’s private money as well, and there are other places out there, but it’s expensive. There’s just not a lot of new media institutions, whether online or more conventional or old media, that are doing really aggressive investigative reporting, and the mainstream media does less and less of it as it withers and dies and is unwilling to spend money on it, and the new media, online media, I don’t think does nearly enough of it either. And frankly I find a lot of the blogs quite boring, because a lot of it is just blather. I don’t know where the media is going. I don’t know where the profession is going. We’ll probably all be unemployed in five years or working for free for blogs. You’re raising the most difficult question confronting the future of the profession and I wish I had a better answer for you. I don’t.